David Barton is the Founder and President of WallBuilders, a national pro-family organization that presents America’s forgotten history and heroes, with an emphasis on our moral, religious and constitutional heritage….His exhaustive research has rendered him an expert in historical and constitutional issues and he serves as a consultant to state and federal legislators, has participated in several cases at the Supreme Court, was involved in the development of the History/Social Studies standards for states such as Texas and California, and has helped produce history textbooks now used in schools across the nation. As I listened to just the first part of the video, however, something seemed off…way off. So I decided to do a little fact-checking. Now I am not a historian, but I am able to do some investigative research. When I checked the facts on just one segment of the video, I was rather disappointed. I don’t normally do this, but I ask that you watch the video before you read the rest of this piece. You needn’t watch the entire thing. Just watch from 0:40 to 1:26. It’s only 46 seconds of video, but it allows you to see just how wrong he is, at least in that section of the video. Barton is claiming that the U.S. Congress printed the first English Bible in America and did so, in part, for the use of the schools. This bothered me when I heard it. I wasn’t bothered by the idea of Congress supporting a Bible or even recommending it to the people. After all, most (but certainly not all) of our Founding Fathers were Christians, and most (but certainly not all) of the early Congressmen were Christians. Thus, I can see Congress recommending a Bible to the people. But I couldn’t see them actually printing a Bible or recommending it to schools. As far as I know, printing was done by the private sector back then, and the schools were not something Congress had anything to do with at that time in our history. That’s what caused me to start fact-checking. When I did, I found that most of what Barton says in that 46-second clip is simply untrue. First, the Bible he is holding is a 1968 remake of the Bible that is referred to as the “Aitken Bible of 1782.” Congress did not print the Aitken Bible in 1782, and it did not print the 1968 remake. It did not financially support the printing of either Bible in any way. In fact, it doesn’t seem that Congress purchased a single Aitken Bible. And Congress never ever mentioned anything about the Aitken Bible being used in schools. So what’s the real story behind the Aitken Bible? Well, you can learn everything you need to know about it by looking at the 1968 version Mr. Barton is holding in that video. That Bible was printed by Arno Press in collaboration with the American Bible Society, and it contains a preface written by someone who actually knows the history of the Aitken Bible – Margaret T. Hills. Conveniently, Logos Resource Pages has a copy of the preface posted online. If you read that preface, you will learn that three clergymen thought there was a shortage of Bibles in 1777, and they asked Congress to find a way of making Bibles available to the people so that they could be used by schools, families, and churches. A Congressional committee decided that printing them in the U.S. would be difficult, so it resolved that the commerce committee should be ordered to import 20,000 Bibles. The resolution barely passed through committee and seems to have never been voted on by the Congress. …begs leave to inform your Honours That he both begun and made considerable progress in a neat Edition of the Holy Scriptures for the use of schools, But being cautious of suffering his copy of the Bible to Issue forth without the sanction of Congress, Humbly prays that your Honours would take this important matter into serious consideration & would be pleased to appoint one Member or Members of your Honourable Body to inspect his work so that the same may be published under the Authority of Congress. Do you remember the part in the video where Barton claims that Congress called the Aitken Bible a “neat Edition of the Holy Scriptures for the use of schools?” Congress never said that. Aitken said it to Congress when he requested that they inspect his work. That phrase was never in the Aitken Bible of 1782. It is in the historical preface to the 1968 version, but the author of that preface makes it clear that Congress did not write those words – the man who printed the Bible wrote those words to Congress. Whereupon, Resolved, That the United States in Congress assembled, highly approve the pious and laudable undertaking of Mr. Aitken, as subservient to the interest of religion as well as an instance of the progress of arts in this country, and being satisfied of the care and accuracy in the execution of the work, they recommend this edition of the Bible to the inhabitants of the United States, and hereby authorise him to publish this recommendation in the manner he shall think proper. Now these words do appear in the Aitken Bible of 1782, because Aitken thought it would be good for people to know that the Congress approved of his work. So Congress did approve of Aitken’s Bible, but they did not print it, and they did not fund it in any way. As you can see from reading the preface, the only indication of any support given to Aitken for his Bible comes from the General Assembly of the Commonwealth of Pennsylvania, and it was in the form of a loan. As Hills points out in the preface, it is not even clear that Aitken took the loan. In the end, Aitken’s own words indicate that the entire process caused him to lose 3,000 Continental Dollars. So Barton is wrong about nearly everything he says in that section of the video. Congress did not print the Bible, and it did not recommend the Bible for use in schools. About the only thing he got right was that Congress did recommend it as accurate to the people of the United States. Now why did I bring this up in my blog? There are really two reasons. First, I wanted to use it as an example of how critical thinking works. I would love for it to be true that Congress printed a Bible and recommended it for use in schools. Thus, when I first heard what he was saying, I really wanted to believe it. However, since I was bothered by a couple of nagging details, I decided to look into it a bit. When I did, I found that it was simply false. So the next time you hear something that seems to confirm what you want to believe, it is best to check its accuracy before you end up using it as evidence for your belief. 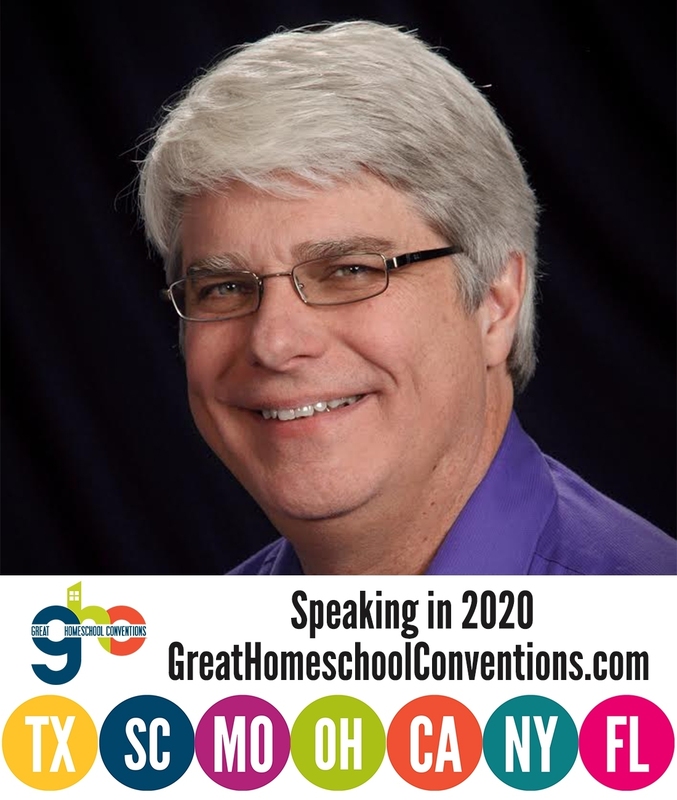 Second, David Barton is very popular among homeschooling families. Since I am a big advocate of homeschooling, I think it is important for these families to know about this. I have not reviewed his homeschooling curriculum or his books, so I cannot speak for their accuracy. I didn’t even investigate what he said in the rest of the video. However, in this one case, comparing what he says about the Aitken Bible to what the preface of the 1968 version he was holding in his hand says, it is clear that Mr. Barton did not check his facts very carefully. I pray this is not the case with the rest of his works, but I would encourage those who use his materials to do a bit of fact-checking on their own. It truly is a sad day when people distort the truth or do incomplete research to attempt to prove a point. I am praying for David Barton and encourage others to do so as well. Well, well. Always something interesting when I click over here, Dr. Wile! I am currently watching Barton’s series of American History dvds and I must say I have completely enjoyed them. I did actually research this point recently on-line and came across the same type of discrepancy — that Congress never actually funded/oversaw the printing of the Bible but did look into the procurement of Bibles which were in short supply, and that it’s unclear what came from the resolution. I am disappointed to hear the facts distorted and falsely reported to such a degree in this case. I’m not a historian, but most of the quotes on his webpage appear to be credibly documented from original sources. I had no idea this had ever come before the Court prior to Abington vs Schweppe in 1963 when Bible reading in public institutions was outlawed. As an aside (in my thinking) th 1844 ruling probably derives from the collective view of the culture at that time which clung to the Bible as the guarantor of their freedom – nullifying the “divine right of Kings” and granting them full rights “endowed by their Creator” to life liberty and the pursuit of happiness. They thought everyone ought to know this truth from the Scriptures, contrary to current day philosophy whcih views the Bible as a threat to freedom. In many ways I think we have come to worship freedom. Anyway, I appreciate your take on David Barton. My kids do love his Drive Thru History series! They learn a lot — painlessly! What to do? I think we will continue to watch and do more fact checking while appreciating this lesson in critical thinking. Hopefully, somehow David Barton will see your post and redo his material!! It is unnecessary for us, however, to consider what would be the legal effect of a devise in Pennsylvania for the establishment of a school or college, for the propagation of Judaism, or Deism, or any other form of infidelity. Such a case is not to be presumed to exist in a Christian country, and therefore it must be made out by clear and indisputable proof. I am not a lawyer, either, so my interpretation of what the Justice wrote here may be wrong, but it seems to me that he is simply saying that the U.S. should allow the Scriptures of any religion to be taught in schools, assuming it is the predominant religion of the region. Thus, for Christian regions, the Bible should be taught in schools, and we shouldn’t worry about the possibility that this would allow another religion to teach its Scriptures and, in the process, malign Christianity. Instead, we should simply address that issue if it actually comes up. There is no question that the early Supreme Court allowed the Bible to be taught in schools and the current view of the Supreme Court reversed many years’ worth of legal precedent. At the same time, however, I think it is easy for people to pull partial quotes from the Supreme Court opinions to make it sound like they were actively promoting Christianity. Instead, it seems to me that at least in this case, the Supreme Court was actively promoting teaching the predominant religion of the region in school. This, of course, makes perfect sense and is consistent with the Founding Fathers’ original view of a decentralized government. I do hope you continue to use Barton’s materials and do a bit more fact-checking along the way. I would love to hear how that turns out! Thank you for pursuing the facts and for posting this. It seems to me that our desire to promote truth will certainly fall on deaf ears if we fail to carefully and accurately document our assertions. This challenges me to keep digging deeper. Thanks for your comment, Laura. I wholeheartedly agree. Christians should not use falsehoods in an attempt to sway people to the truth. Many Christians and Christian organizations are guilty of this, and it saddens me. Thanks for your research and response Dr Wile. So what they are saying in the Vidal case is that because Christianity is the predominant religion of the region, it is acceptable to read the Bible in public schools. I agree. However, they were being asked to rule against the Bible in a particular institution and to affirm the rights of these administrators to exclude it from their curriculum. They evidently declined to do so on the basis that this is a “Christian nation”, and that would be significant, correct? That is correct and quite significant, Elizabeth. Certainly the early courts and politicians saw the U.S. as a Christian nation. Of course, what they meant by that phrase was probably rather weak. I expect (but don’t know) that the early politicians and courts simply meant that most people in the U.S. follow the Christian religion and that our laws draw their broad base from the Christian Scriptures. That’s probably what made this a “Christian nation” in their view. This quote says the US SC does not even need to consider the legality of a school (in PA) that would advance Deism (interesting, since they are supposedly all Deists nowadays) or Judaism because these are not the predominant worldview in a “Chistian country” and so if they are to be taught and adnvaced in the school system, it must be clearly established that the cultural mindset has changed significantly in that direction? What do you think of that interpretation? I’m just trying to talk through and understand this!! Also, with respect to Congress and the Bible. Although they did not actually print the Bibles, they indicate intent to procure them for the use of the public. Doctrine of “Separation of Church and State” takes a hit there. Agreed that Barton is purporting as fact that which is false related to the details of the history (which is serious); but do the real facts still confirm Barton’s bigger picture which is that “Separation of Church and State” was defined much differently prior to 1960’s. Regarding procuring Bibles, remember that the historical preface linked in this blog post says that the resolution was barely passed by the committee. The vote was 7 to 6. Then, it seems to have died. We don’t know why it died, but it is reasonable to assume that it died because the Congress as a whole didn’t think it was the place of Congress to deal with a shortage of Bibles. Given that nearly half the committee thought it was a bad idea, it is likely that the majority of Congressmen thought it was a bad idea as well. I do agree that Barton’s larger point that “Separation of Church and State” was defined much differently prior to 1960s is quite true. However, he does himself no favors by using untruths in an effort to convince people of the larger truth. To me, the fact that a Resolution calling for Bible procurement was approved (even narrowly) is significant and flies in the face of modern interpretation of separation of “Church and State”. Attempts to explain why nothing came of it are purely speculative. The 1844 SC Ruling was supported the Bible in the public classroom against the objections of secularists, in this case, correct? What “case” is not presumed to exist in a Christian country? A case where Judaism or Theism are taught/espoused by the public sector as the predominant worldview. This case does not exist in a “Christian country” and so use of the Bible in the public sector is justified. That seems to be what they are saying. 19th century Supreme Court Justice speak is so hard to get sometimes! I wonder of anyone else besides Barton have this type of material available in a more factual and fair-minded presentation. He hurts the cause of Christ by being dishonest! Maybe he is unaware or has a rebuttal of some type? But remember, Elizabeth, the resolution was only approved by committee. Thus, we only know for sure that there were 7 representatives in the Continental Congress who thought that was an appropriate thing for Congress to do. It certainly flies in the face of the modern view, but we have no idea how widespread it was among the Congressional representatives. The 1844 case wasn’t quite as you indicate. Stephen Girard (a diest) had died and left a considerable sum of money to establish an orphanage and school. However, he stipulated that no religion be taught in the school. The city (which made schooling decisions back then) declined, saying any school in the city must teach Christianity. The Executors of the Girard estate sued, saying that they should be allowed to start a school that taught no religion. The SC ruled against the executors, upholding the city’s right to say that Christianity must be taught in the school. The phrase “Such a case is not to be presumed to exist in a Christian country,” in my mind, means that they thought it very unlikely that a city would rule that a school must teach something against Christianity. As I understand it, one of the Executors’ arguments was that if the city could order the teaching of Christianity in all schools, another city could rule that all schools must teach against Christianity, and they could use this case as precedent. It seems to me that the Justice is simply saying that such a ramification is unlikely given that this is a Christian country, so rather than making a ruling based on such a possible ramification, they would simply consider such a case if it ever actually happened. Of course, as you say, 19th-century legalspeak is hard to understand, so I could be completely off base there. I am not sure Barton is being dishonest. He might just be a poor researcher. He has no formal training in history. That doesn’t mean he can’t learn it well enough to become an expert, of course, but it does mean that he is more likely to fall into traps into which a trained historian would not fall. I appreciate the breakdown on all that and I think you are probably right about much of that. As I see it, the take-away is that the US SC had a chance to rule against the teaching of the Bible in public schools and they declined; in doing so, they effectually upheld its mandatory instruction. 1963 Abington vs. Schweppe decision which officially outalwed the Bible in public schools was not the first time the issue had come before the Court. That is significant. I never knew that until I watched these videos. A Congressional comittee (sp?) of the first Congress made an attempt at Bible procurement — that was also a surprise. Generally speaking, the material in David Barton’s dvd series is worthwhile and not widely known. It seems he needs to clean it up a bit but the larger points still come through. Public Bible reading, school prayer and acknowledgment of God were not considered “establishment” by the founders/early leaders and for generations beyond. Atheism was not viewed as a religion, whose “free exercise” deserved protection under the law — that was covered under right of assembly/association amendment. Taking all the history together, it seems they did view the Bible as the source of freedom (from divine right of kings) and regarded the “NT” as the highest and “purest” standard for the teaching of morality (SC 1844) and therefore worthy, even beneficial/necessary to be “inculcated” in schools. I agree that we see what we want to see sometimes when we really want something to be true. We have a tendency to overlook incompatibility or avoid scratching too far below the surface. Maybe that’s what happened here. It does hurt Barton’s credibility. Although I think most of what he says is true, I wonder if I can trust it now. Of course, the lesson for me is the same — not to just believe everything everyone says, even when (especially when?) it sounds sooo good. And to do my own research… the web makes it relatively easy! Thanks for your comment, Mark. I agree with the overall point of your comment, but I would have to disagree with your evaluation of AiG. While some of their science is a bit suspect (such as Lisle’s ASC convention), I find most of their science to be rather good. Thanks again for another great post. While I was a political science graduate student studying primary American history source documents, it soon became painfully apparent to me that much of the information put forth by David Barton is factually inaccurate. His characterization of many of our “Founding Fathers” (i.e., those of the Revolutionary era) as orthodox Christians is demonstrably false. While some are more difficult to pin down than others, the leading political characters of the Revolution had a lot more in common with French atheistic radicals than historic, biblical Christianity. As just one example, Thomas Jefferson prepared his own version of the Bible that left intact Jesus’ moral teachings but conspicuously omitted His miracles and resurrection. I think it it time to call Mr. Barton to account for his gross mischaracterization of American history. There is a video documentary that actually goes over these issues in great detail that can be viewed online for free. The documentary is lengthy and at times dramatic, but overall I believe it is much more accurate in presenting the truth about the religious views of our Founding Fathers than is Mr. Barton. Thank you for standing for the truth. We must let the facts speak for themselves and not bend them to suit personal agendas. I am curious about this: the leading characters of the Revolution had a lot more in common with French atheistic radicals than with biblical Christianity… Did you overstate this point? For instance, while Jefferson could have been considered a “deist”, he believed teaching the Bible to public school kids was necessary, correct? I think I read that he included it as part of a curriculum he administered as Superintendent of Schools in Washington? Do you have any stats on what percentage could be characterized as Bible-believing Christian, how many were “Deists” yet still valued the Scritpures for moral training, and how many were actually atheists of the French persuasion? What makes you think this and why? David, I also looked at a little of the youtube video. Take what it said about Thomas Paine. Characterizing his writings as highly motivating citizens to fight and win the Revolution (correct interpretation) and saying his philosophy/writings provided the precepts for the Declaration of Independence (your video mischaracterizes it this way) are two totally different things. Does an atheist write about “inalienable rights endowed by their *Creator*”? The reasonable understanding of this statement is that humans have instrinsic rights given to them by God, that no one can take away, because they don’t come from a king or a government or a piece of paper but from Him. Also, I think it’s reasonable to conclude from the history, that the colonies predominantly held biblical Christianity as truth by which to live and attempted to follow its exhortations. Not only follow, but teach. The Bible was taught to all the kids (until 1963)– Why would this be if the country was atheist? We put a lot of emphasis on the Founding Fathers and I do think most were of the Christian “mindset” if not Christ followers themselves; however, the values of the people probably matter most. It is very clear from history that these values (biblical views on covenant living, marriage, family, Human Life, business practice, government)molded and shaped our nation. During the time we upheld these values, we became one of the most tolerant, benevolent, powerful and wealthy countries in world history. Empirics still count!